These gifts will only be handed out on birthdays. There are plenty of other gifting topics for every day use; a birthday is something you only experience once a year though. It's fun to receive something special on that one day! This topic has been approved by _Z_. Rules! Because without them there would be chaos and anarchy. - Always follow the ToS. - You may request up to 3 dragons, only two of which can be ultra rares. You must request at least one non ultra rare as well, to balance out your list. - Accept any gift that is offered from your list rather than turning down a dragon in the hopes of getting a rarer one. - No 2nd gens from any one person's personal scroll or lineage. I.e., no 2nd gen dorkfaces, thuweds, etc. - If you won't be on for your birthday to receive a gift, report it in the thread so you can receive your dragon earlier or later. Nobody will be asked to hold it for longer than 48 hours. - No begging. Do not PM anyone asking for a gift, even if it's your birthday and you haven't received any PMs from gifters. - Do not post anything unrelated to reporting a gift or a request form. It's considered spam and multiple instances of random chatting will result in being greylisted. If your username begins with the letters A-H, tell us what your favourite animal is. I-Q tell us what country you're from. R-Z, tell us what your favourite movie is. If it begins with any other character, put the word "potato" in italics. Otherwise, do not post potato. If you're on the greylist and still choose to ignore this rule, you will be blacklisted and your birthday list, if you have one, will be removed. - No holiday requests. Even if your birthday happens to fall in the breeding window for a given holiday, please refrain from adding it in your list. - Gifters may remain anonymous if desire. - There is no minimum number of dragons on your scroll to join. If you just became a member of the site the day before your birthday and have nothing yet, you can still submit a list! - Dead eggs and tombstones will not disqualify you either. Your list will be accepted regardless, but it's up to the gifters to decide whether or not they wish to give a dragon, however rare it is, if you have anything dead on your scroll that isn't a zombie or vampire. - If there's anything additional the gifters would like to include in their offer, such as no freezing or trading, then you must agree to their terms. If you receive the gift and choose to ignore their requests, you will be blacklisted. No exceptions. - If you wish to gift a 2nd gen of one of the banned requests, you may do so. I will not open those up for requesting, but if you can breed them, or acquire it elsewhere, and would like to give it to someone for their birthday who may have a higher gen listed, it's perfectly fine. I ask that Hollies still not be gifted through this thread, no matter their gen, but everything else is welcome! - When updating your list, PLEASE provide your birthdate with your update. It saves so much time for the next moderator that does the updating. - Please do not bump your posts and only repost if asked by a moderator. - Please refrain from including any sort of links when updating your list. This saves time during updates. - With each number on your list, please provide only one or two dragons types. Ultra-rares include breeds not readily available to the population, or are gifted rarely though this thread. Any Tinsel lower than 4th gen or Tinsels with specific lineages. 2nd gen requests are banned. Low gens from spriter alts. 2nd gen requests are banned. You are now allowed to request Shimmerscale Dragons; but NO specific lineages please!!! 1.Any Gen Silver Metallic:Can be inbreed,messy. 1. Purebred Stripes of any colour. 3. 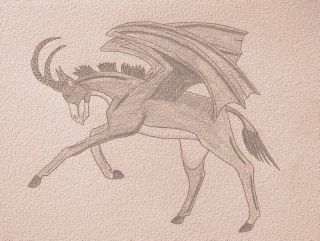 Low gen (2nd or 3th) common offspring from holiday dragons/discontinued ones. 2. CB Metallic (gold or silver). 3. and... Neglected's are nice. 3. CB hatchlings of any breed! 1. Any tinsel would be amazing! I'd be just as happy with any dragon I don't already have on my scroll, otherwise. 3. egg with code as "Xtal"
1. Nebula - CB or nice lineage. 2. Metallic - CB to 3rd gen.
3. Neglected - ANY lineage (a girl can dream...). 1. Any Tinsel. Lineage or CB- doesn't matter. 2. Red dorsal. Lineage or CB- doesn't matter. Note: Please No Gifts until 02/25 due to other circumstances. Hoping to start an Alt even gen lineage with male Blacks and female Vines. Male golds are one of my favourite dragons. May not be on for my birthday. 1. Any trio; don't care about lineage even inbred is okay. 2. Any PB Stripe color doesn't matter. Happy birthday all of you too!!! I might be unable to log in on my birthday (though I will try to) but – barring any unforeseen real life emergencies – I will be available on the days before and after my birthday. 3. Any non-inbred lineage using any kind of greenish-colored dragons and any kind of golden-colored dragons together. Just love the green-and-gold look! 3. Anything 3G - 8G with an attractive lineage! I love steps and checkers, but I love to breed/find mates for anything that looks good! 3. CB or 2nd Gen green Nebula hatchie. 1. Non inbred, not too messy gold or silver. 3. Day Glory Drake / Night Glory Drake either one. 1. 4th or 5th gen silver tinsel spiral? 3. A dragon with a cool/fun/naughty word code any lineage or breed. 4th - Rinah - Will not be on for most of her birthday. 3. Hmm. Something else pretty Surprises are what birthdays are all about right? 3. Cool Lineages - Surprise me! Also possibility I may not be on on my birthday but I'll be on the days before and after. 3. nice checker low-gen EG (4 or less) anything. Or spiral, or stairstep. I would prefer if the gifted dragon's lineage wouldn't be messy or inbred. 3. Nebula-any clolour, any gen.
1. (CB) Metallics - I love silvers. It doesn't have to be CB, and I would accept gratefully any given, but I would love a cb one. 1. 2nd gen Gold egg/female hatchie, mate doesn't matter? 2. Low gen Tinsel stair or spiral with no Holiday mate? I don't care about lineage or anything like that. I'm just looking for dragon species/types I don't have. These are just three of them. For rarity I used the dragon wiki so if I don't have one that's common enough I'd be just as happy with a red dragon or even purple. 1. Any one of the new May '13 Release dragons caught on my birthday. 3. Silver Tinsel from Penk with nice - shortish - lineage. I'm mostly looking for about anything I don't already have. Thanks! 1. CB Gold (Ive been doing this for a long time and still don't have one) Oct 08 is my first dragon. 3. Nebula with a lineage like this. 1. A purebred even gen Ice Trio 3rd gen or higher. 2. Purebred metallic, generation doesn't matter. I'm not picky about lineages. A gift is a gift. 1. CB nebula I love them sooo much! 1. any of the three legendary (ice, magma, thunder) i don't care about the lineage but it would be really cool if it didn't have any! 1. Chicken; this is all. 1. A Neglected would be very lovely! 3. A CB Blusang Lindwurm will be very nice, too! 3. Anything you have and don't need. 1. Even 3rd/4th gen gold. 2.Any colored dino except green! 1. Tinsels- I don't care about lineage, but I'd prefer gold and silver tinsels, as I don't have any yet. 2. Metallics. I'd prefer low gen and CB. I especially want rare x rare pairings. 1. Any tinsels, pref nice lineage but any will do! 1. Matalics under 6th Gen.
3. CB Pinks or organized ev-gen lineaged ones. 1. Low-gen stripe, any color. 12th - FaolainnStorm- inbreds welcomed! 1. Any clean tinsel (same as below). 2. Clean metallics (low gen is even better). 3. Surprise me! I accept any egg I am gifted if I am not egg locked! Any lineage, messy and inbred or not. I probably won't be on until the evening, as I have lots of stuff planned. 3. Tri-Horns, especially caveborn, but even generations would also be great! 3. ...from my scroll goal. 20th - klinneah - May not be on for birthday. 3.Vine Dragons! Any lineage, even inbred, I just love Vines! 1. 2nd gen Gold with Black Father X Gold Mother - would make my year! 2. Any tinsel dragon, preferably gold. 3. Seasonal Hatchling, Male, please! 1. 1. Non-inbred messy eggs, the more dragons in the lineage, the better! 3. Silver. I don't care about linage or inbreeding. 3. Chickens! I love the little chickens! 1. Some sort of rare surprise, surprises are fun. 2. Nice lineaged magi hatchlings....? 2. Non inbred pretty linaged vine. I (still) do not care about lineage or inbreeding. 2. White 4g Even Holly crosses (to be this one's mate: Jolly Snow Joy), or suggestions on what would look great with this dragon! 3. Sitting alt black hatchie. 1. Golden, any lineage, non-inbred. 2. Alt Black, any lineage, non-inbred. 3. Golden Tinsel, any lineage, non-inbred. 3 Low gen non-tinsel silver or gold. 1.Neglected any gender. Not fussy about lineage either. 2. Any 13th gen "Perfect Inbred" ( A dragon where every generation has only two actual dragons who are, except the CBs, brother and sister). 2. PB Stripe - 2nd to 4th Gen with matching generation colors. 3. An (evil) baby dragon. (!!!) 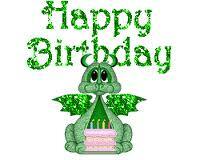 Or a pretty baby dragon with the number 30 in it, born on my 30th birthday! 3. Beautiful lineages- even gen, stairstep, purposeful even gen inbreeding, etc. 2.Any tinsel with beautiful lineage. 2. Any kind of ND, the last sprite I need on my scroll. 3. Pretty lineage, staircase or even-gen dragons. 3. gifter's choice - look at my singles on my scroll - missing mates preferred in non-inbred gendered hatchie form. 20th - Neo_Qwerty - Requests permission from any gifters to release/regift males. 2. Female Pillow - as close to CB as you can get, and if you can get a CB, I will loves you forever! 1. PB Stripes. Any color! 2. PB Blacks. Low Gen preferred. 3. Nicely bred Gold. Preferably under 5G, but as long as the lineage is pretty, no matter. 1. Prize dragon any gen, and lineage. 3. 2nd-gen or CB Split. I need a mate for the one I got as a gift from a friend. 3. World peace ^^ Can never hurt to wish for that, and it doesn't require a PM. 4. Kidding, only want to show my love for those awesome gifters! 2. Even Gen ALT Black. PLEASE name my gifts. Please don't freeze any gifts without permission. No biting for vampire attempts. And please say thank you! As for rules about my stuff... I can breed/catch nearly anything (all except a CB Metallic I've caught- I even had the '12 Vals but I gifted all away for others) and I don't mind holding the eggs until they hatch. Once they hatch I will hold the hatchlings until they grow up. I don't mind freezing or killing on accident, I just prefer that no one kills them on purpose (obviously, we have no true way of knowing this). A note: I'm pretty decent at catching eggs in general, minus the ultra rares usually. For breeding I seem to be having really good luck with Geodes and Blunas, shallow water as well. A few things I'd like to ask of those who I gift to. 1. Please do not kill the dragon(freezing is fine), this includes biting. 3. Please do not trade away the dragon if I've gifted you one. Stipulations:Whoever receive my egg please don't do anything beside raising it or re-gifting (that mean no killing, trading, vampire, earthquake, freeze, abandon, etc). Re-gifting is ok IF you ask me before you do it. If you are not going to follow the rules then don't even bother to accept the egg(s). A simple and fast refuse is what I love if you don't want it(them), because the gift(s) can go to someone else who will love it(them). Will not hold egg for longer than 24hrs. PM link: PM me! I don't bite! 1. Please do not kill the dragon (freezing is fine), this includes biting. 3. Please do not trade or abandon away the dragon if I've gifted you one. Please do not Trade, Bite or Kill any of my gifts. Freezing is OKAY! Make sure to Name!! Thread formatting has finally been fixed; I've been away with school and other activities.